5 Travel Ideas to Celebrate Your Three-Day Weekend! When a long weekend looms above you, it’s tough to resist the urge of exploring a new place or revisiting a familiar spot. Whether it’s vacation or staycation, it’s always a great idea to step away from your home and work radius to find out what’s new in the world. If you’re seeking for weekend retreats, here’s what we have in mind for you. Suggest a food trip to any of your friends and you’re likely to hear someone say ‘Penang!’. Deliciously affordable, this food paradise is home to the best char kuay teow, asam laksa, cendol, and Hokkien mee in the country. If you have a three-day weekend in your calendar, you know travelling up north to Penang has got to be it! For a destination that is closer to home, you can make your way to Malacca with your family and friends. 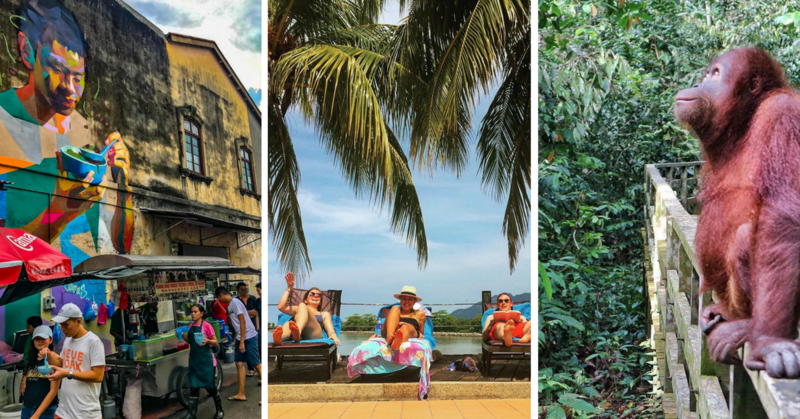 Apart from feasting on chicken rice ball, durian cendol, and Peranakan cuisine, explore this heritage city like a tourist and check out the Christ Church and A’Famosa fortress. Remember to save some small change for your shopping trip along Jonker Street. It’s time to step out from the concrete jungle and rediscover the beauty of Mother Nature. Surround yourself with sky-high trees and chirping birds at Taman Negara in Pahang, Sepilok Orang Utan Sanctuary in Sabah, or Mulu Caves in Sarawak. When was the last time you had fun in the theme park? With adrenaline-infused rides and attractions to take on, feel like a kid again at Sunway Lagoon in Selangor, Legoland and Hello Kitty Theme Park in Johor, or ESCAPE in Penang. Bring along your family and friends while you’re at it because theme parks are best enjoyed in groups. If you feel the need to disconnect to connect, leave your laptop at home and reward yourself with a beach getaway. From sipping cocktails in Langkawi to snorkelling with the turtles in Sipadan Island, relaxation will be your new favourite word.